Support Children's Theater of Madison! CTM is a non-profit organization and relies on the support of our community. Any dollar amount makes an impact. Consider making an ongoing monthly gift. CTM's Spotlight Club — become a member with a gift of $50 or more! You'll receive a regular e-newsletter just for Spotlight members providing a behind-the-scenes look at Madison's premier theater for all ages. Your gift will not only support the creation of captivating theater productions, but will also help youth gain access to classes and performances. 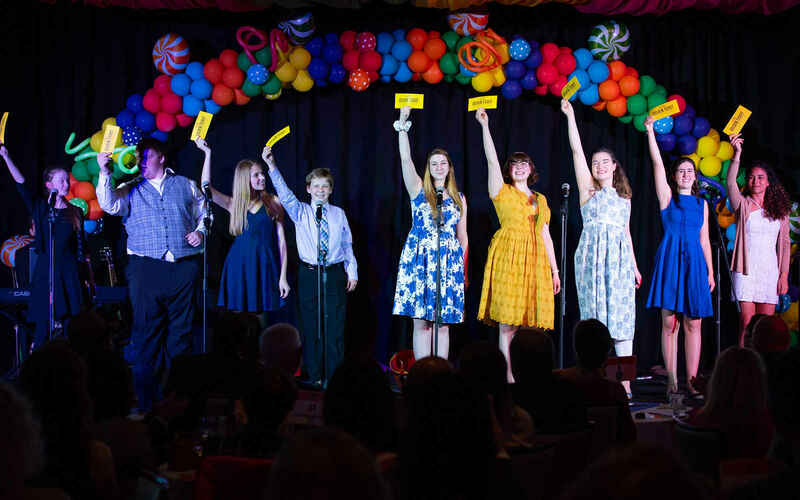 We believe that everyone should be able to gain confidence and communication skills through theater classes and see world-expanding theater experiences. Double your impact! Ask your employer if they offer matching contributions or participate in the "Dollars for Doers"program, in which the company will donate based on your volunteer hours. Consider including CTM in your will or estate planning to support future generations of youth and become a member of the Encore Legacy Circle. For more information contact development@ctmtheater.org or (608) 255-2080 ext 110. Corporate sponsorship opportunities are available for shows, classes, and events. Contact Kathy Borkowski at kborkowski@ctmtheater.org or (608) 255-2080 ext 110 for more information on the benefits of sponsorship. Excited to see you are doing Matilda! Can't wait until you announce the rest of the season! I'm looking forward to it! CTM is doing amazing work! In memory of Aunt Jo and her love of theater and the arts. Thank you for creating opportunities for both young performers and young audiences! CTM Education provides an amazing opportunity for kids to participate in theater at a high level, yet with compassion. Bravo!